Posted in: Crime Stoppers, Leave a comment, Media Release, Put A Name with This Face, Reward, WANTED. Tagged: Valimont. Franklin Police want to identify this man wanted for stealing items from lockers at the YMCA. 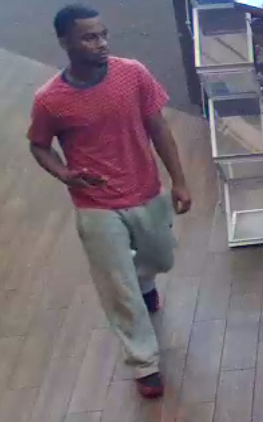 On Wednesday, June 13, 2018 at approximately 3:00 pm, the unknown suspect stole items from unsecured lockers inside the YMCA at 501 Royal Oaks Boulevard in Franklin, Tennessee. The suspect stole keys from a couple lockers and went out into the parking lot. He then used the keys to enter a 2014 grayish blue Ford Focus hatchback with a small dent on the passenger side front quarter panel. If you recognize this suspect or think you know the whereabouts of the vehicle, please contact the Franklin Police Department at (615) 794-2513.